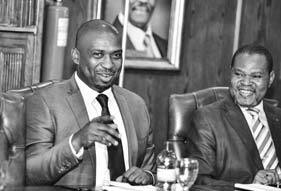 Deputy Minister of Department of Higher Education and Training, Honourable Buti Manamela visited the Vaal University of Technology (VUT) on 18 January 2019. The aim of the visit was to assess the atmosphere of the registration processes. He said that he is excited that universities played a part in the planning of the registration to avoid crisis. He noted that challenges come when senior students return for registrations. 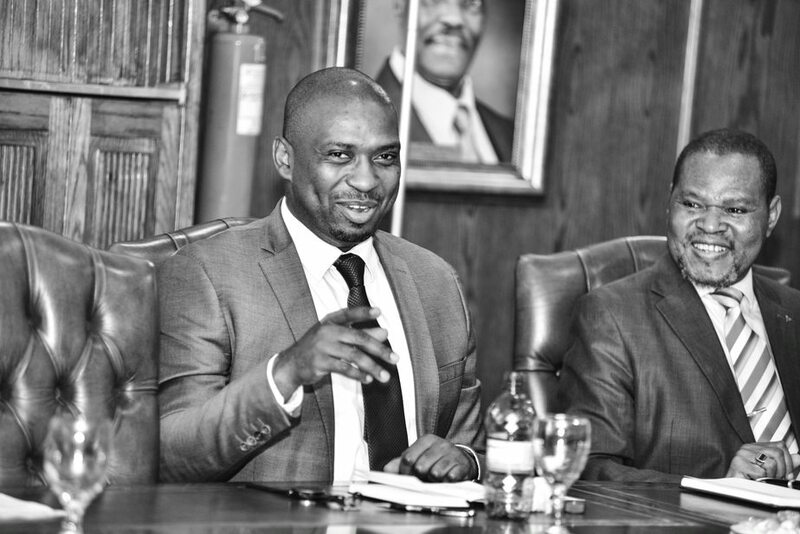 Vice-Chancellor and Principal, Professor Gordon Zide welcomed the Deputy Minister and informed him that VUT had had a good start with registration, but had also had its challenges. Student leaders submitted a list of demands to the Executive Management Council, which then engaged with students. They came up with some amicable solutions. He further explained that VUT does not have a Student Representative Council (SRC) currently due to not having had elections the previous year (2018). The Registrar, Dr Dan Mokoena and Senior Deputy Registrar, Ms Sally Dzingwa gave an update on the current registration numbers and shared that there are currently 2897 new students. The target is 5360. Although 20 000 applications have been received, Ms Dzingwa said that some students do not meet the entry criteria. In response to queries about the National Diploma: Non-Destructive Testing, which has been reported in the media as not being recognised in the industry, Executive Dean of Applied and Computer Sciences, Professor Roy Mabusa said he will be giving out a full report shortly. Student leaders, union representatives and representatives from management also attended the meeting.